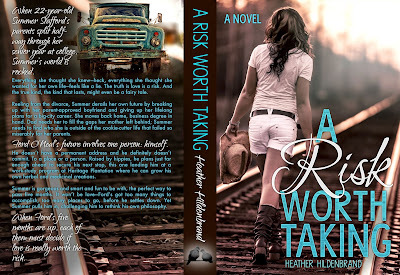 A Life Bound By Books: Cover Reveal - A Risk Worth Taking By: Heather Hildenbrand + A GIVEAWAY!!! 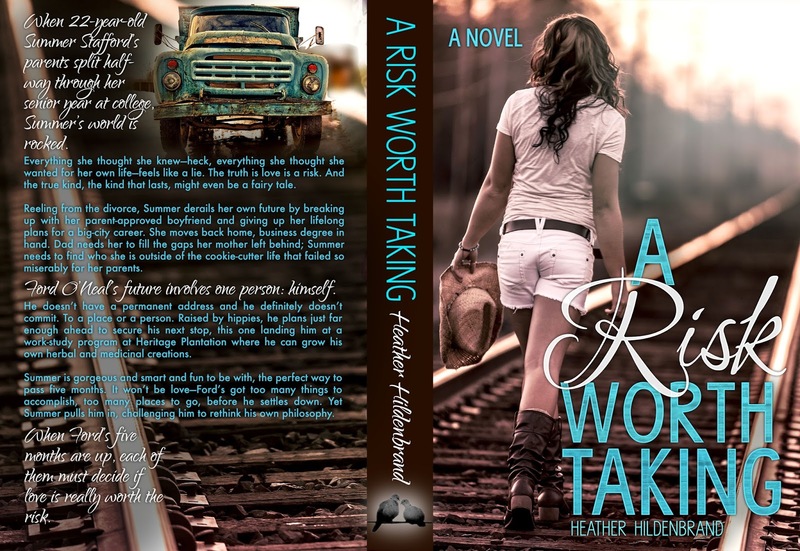 Cover Reveal - A Risk Worth Taking By: Heather Hildenbrand + A GIVEAWAY!!! Synopsis: When 22-year-old Summer Stafford’s parents split halfway through her senior year at college, Summer’s world is rocked. Everything she thought she knew—heck, everything she thought she wanted for her own life—feels like a lie. The truth is love is a risk. And the true kind, the kind that lasts, might even be a fairy tale. Reeling from the divorce, Summer derails her own future by breaking up with her parent-approved boyfriend and giving up her lifelong plans for a big-city career. She moves back home, business degree in hand. Dad needs her to fill the gaps her mother left behind; Summer needs to find who she is outside of the cookie-cutter life that failed so miserably for her parents. Ford O’Neal’s future involves one person: himself. He doesn’t have a permanent address and he definitely doesn’t commit. To a place or a person. Raised by hippies, he plans just far enough ahead to secure his next stop, this one landing him at a work-study program at Heritage Plantation where he can grow his own herbal and medicinal creations. Summer is gorgeous and smart and fun to be with, the perfect way to pass five months. It won’t be love—Ford’s got too many things to accomplish, too many places to go, before he settles down. Yet Summer pulls him in, challenging him to rethink his own philosophy. 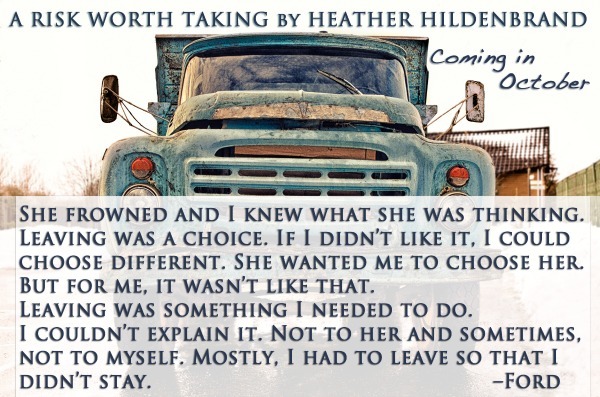 When Ford’s five months are up, each of them must decide if love is really worth the risk. WOW authors, you guys are all getting some amazing covers! Love this one! Looking forward to reading it Heather! Heather Hildenbrand was born and raised in a small town in northern Virginia where she was homeschooled through high school. 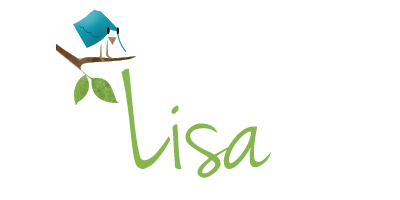 She now lives in coastal VA, a few miles from the Atlantic Ocean, with her two adorable children. She works from home, part time, as a property manager and when she's not furiously pounding at the keyboard, or staring off into space whilst plotting a new story, she's lying on the beach, soaking in those delicious, pre-cancerous rays. Heather loves Mexican food, hates socks with sandals, and if her house was on fire, the one thing she'd grab is her DVR player. Heather is a co-founder of Accendo Press, a publishing group she operates with fellow authors: Angeline Kace and Jennifer Sommersby. Accendo (a-CH-endo), A Latin word, means “to kindle, illuminate, inflame, or set fire.” This is something Accendo strives to do inside a reader’s imagination with every title released. 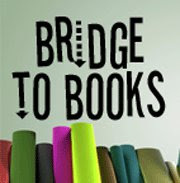 For a complete list of titles and author bios, visit www.accendopress.com.